Israel opens a new exhibition at the UN showcasing the Jewish people's history in Jerusalem. Jerusalem Minister Zeev Elkin and Israel's Ambassador to the UN Danny Danon will open a new exhibition this week at the UN headquarters in New York displaying the historic Jewish ties to Jerusalem. The exhibition will be part of Israel's response to the UN General Assembly's resolution opposing President Trump's decision recognizing Jerusalem as Israel's capital and in the wake of various UN resolutions over the years that have denied Israel's rights in Jerusalem. The exhibition presents dozens of original archaeological findings that have been found in the last 150 years in Israel and illustrate the continuous connection of the Jewish people to the land of Israel and Jerusalem at various periods throughout Jewish history. Among the exhibits are the seal of the minister of Jerusalem dating to the First Temple period that was discovered in January that was signed by Judean King Hezekiah the son of Ahaz, a mural of a candelabra discovered in the house belonging to the Kohanim, handles of clay pots that served as a tax for King Hezekiah, "Shekel" currency from the period of the First Temple, a passage from the Ten Commandments from the Dead Sea Scrolls, and pendants with a Menorah that were found on the Temple Mount from the sixth to the seventh centuries. Minister Elkin said that the exhibition will be a clear and sharp message. "We come to the United Nations to tell them in the clearest possible way - it is impossible to deny 3,000 years of history. Anyone who sees with his own eyes these fascinating findings understands that it is impossible to separate Jerusalem from the Jewish people. No scandalous decision could change the facts on the ground." 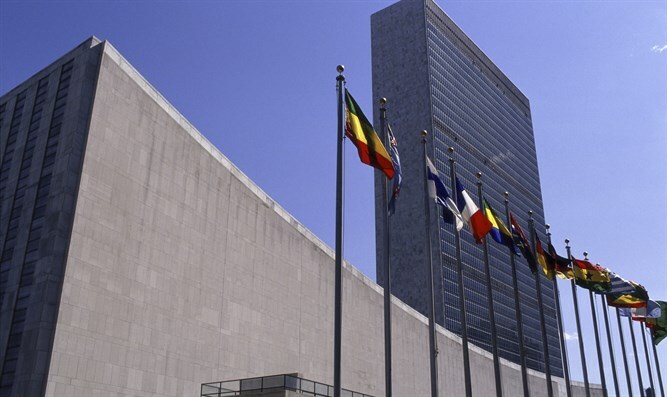 Israel's ambassador to the UN, Danny Danon, added that "the historical truth is the best answer to the shameful decisions and attempts to undermine the eternal connection between the Jewish people and its capital. Jerusalem has become the heart and soul of the Jewish people for more than three thousand years and will remain. It is time for other countries to make the right decision and transfer their embassies to Jerusalem "